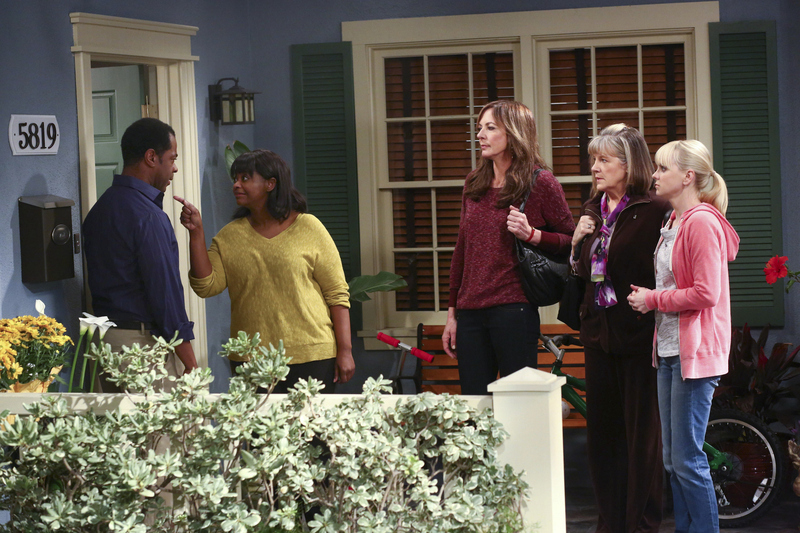 Christy (Anna Faris, far right), Marjorie (Mimi Kennedy, middle right) and Bonnie (Allison Janney, center) take Regina (Octavia Spencer, middle left) to visit Wes (Alex Desert, far left) on the way to drop her off at prison, on MOM, Monday, March 17 (9:30-10:00 PM, ET/PT) on the CBS Television Network. Photo: Michael Ansell/Warner Bros. Entertainment Inc. © 2014 WBEI. All rights reserved.